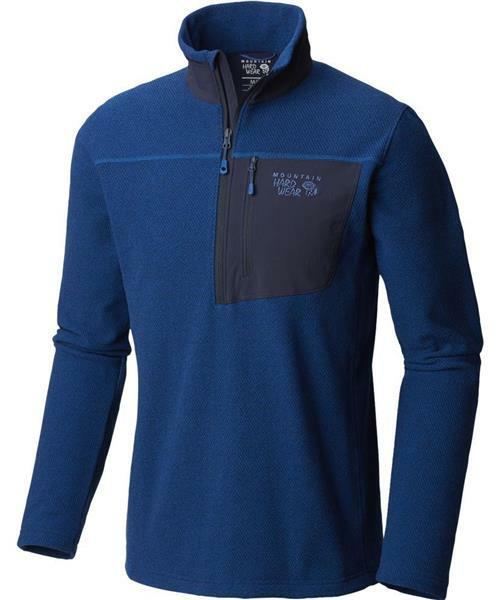 This all-purpose fleece 1/2-zip jacket has a textured-twill appearance that looks like wool but is 100% polyester, so it’s warm, rugged, and easy to care for. Worn as a mid-layer, it’s warm and insulating; worn as a top layer, the textured twill fabric adds a more refined look to the classic fleece jacket. While it’s more than tough and durable enough for high-mountain exertion, it also has a soft interior face that feels as good at the pub as it does at the crag.